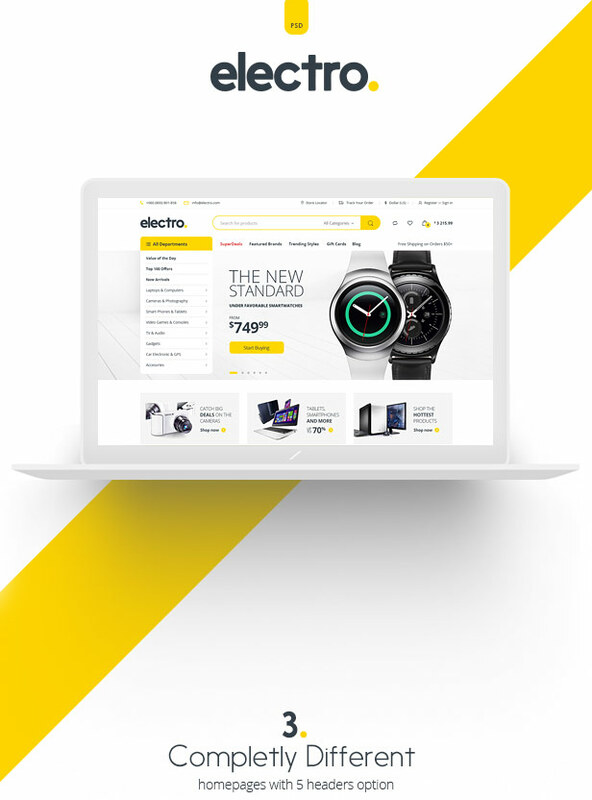 Electro – is a clean and functional theme with vertical menu, perfect for your Electronic eCommerce store project. This PSD theme contains 36 PSDs – full and easy customizable, well organised with layers and groups. 3 Completly different Homepages with 5 headers option. Any content from each single Homepage can. This PSD theme contains 36 PSDs – full and easy customizable, well organised with layers and groups. 3 Completly different Homepages with 5 headers option. Any content from each single Homepage can be transfered into another one very easily. Great support assistance. I have issues with blurry images and the ArenaThemes tech help was so prompt to have the issues repaired. Day to day. Thank you! Highly recommended! Honestly, I think that Electro is one of the best PSD templates I ever seen in ThemeKeeper. Sheets for Magento (as HTML ) is a very simple, clean theme characterized by a homepage image gallery consisting of overlapping sheets. Like pages of a magazine or catalog, visitors can flip through each slide, but with the click of a button.